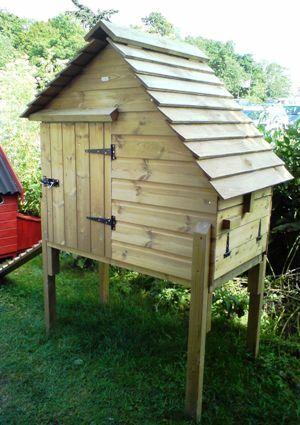 This was one of the very first hen houses we designed and stocked and remains an ever popular choice today. 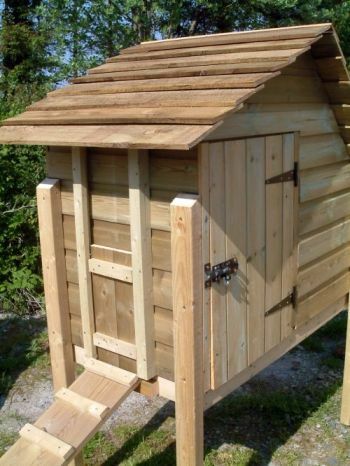 A ramp for your hens to access the coop – deterring foxes! Roosting perch and 3 nest boxes with external access. 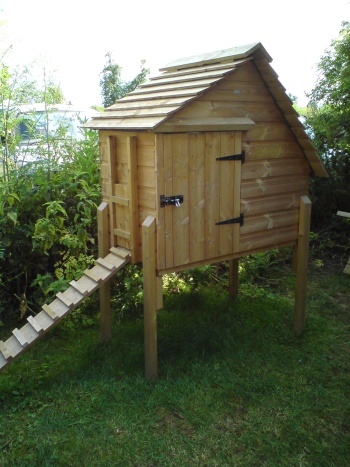 Made well, with strong pressure treated timber for a long lifespan. for hanging feeders underneath to keep them dry. Once purchased, check the High Haven can be either be collected, buy or delivered either via our onsite carpenter or via a haulage company.